The Dayton-area dental practice of Drs. Lee Hendricks, James Freeman, and Rachel Eifert has been serving the people of southwestern Ohio since 1966. 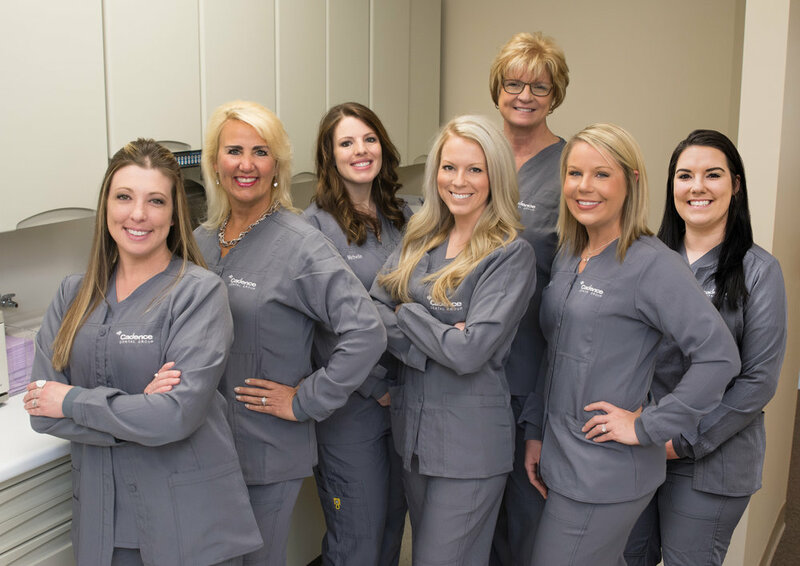 Everyone at Cadence Dental Group takes pride in providing excellent, full-service dental and orthodontic care — all under one roof. 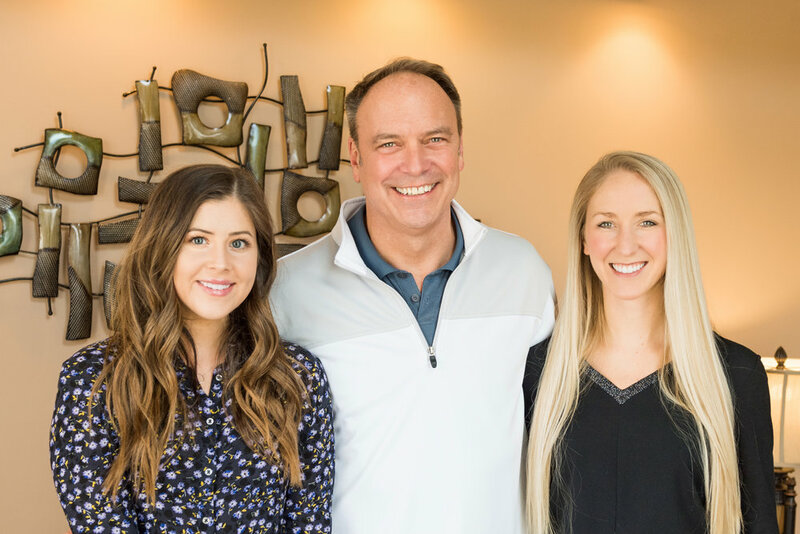 Our team consists of three of Ohio's most experienced oral health professionals and a support staff of highly capable, friendly individuals. Whether you are looking for basic care or you are in need of more advanced treatment, we know we can help you achieve a healthy, beautiful smile. Call today to schedule your appointment with Dr. Hendricks, Dr. Eifert or Dr. Lochtefeld. If you have any questions about our practice or services, please feel free to ask our staff. The Cadence Dental Group treats people of all ages and levels of need, offering a wide variety of dental and orthodontic treatments. Going to the dentist? I have looked forward to going to my dentist for 43 years. How many of you can say that? Need I say more about Dr. James Freeman and Dr. Lee Hendricks? I've never experienced discomfort, just the kindness and expertise of dentistry. Their wonderful and efficient staff go out of their way to welcome each and every patient. They are my dental family, and my teeth thank me often. A few years ago, I didn't feel the dentist I was going to was providing me with the quality and services that I needed. A friend recommended I try Drs. Freeman and Hendricks. From the moment I walked in the door, I felt comfortable and at ease. Freeman/Hendricks Dental Group is state of the art with a hometown feel. I know the work they do will be done well and with my health as their upmost concern. For years, I avoided going to the dentist. After meeting Dr. Hendricks and the gang, I look forward to my regular visits. I feel better and I'm not afraid to smile anymore! I have been very pleased with Drs. Freeman and Hendricks for many years. The office makes me feel like I'm visiting friends. The staff is extremely skilled and caring. I recommend this practice to anyone looking for dental care. My wife and myself have been going to Drs. Freeman and Hendricks for over 25 years. I have enjoyed nothing short of excellent service, professionalism, and friendly smiles. Our daughter, son-in-law, and grandchildren also see Freeman/Hendricks Dental Group. I would, and have, highly recommended this practice to friends and family. After many, many years of avoiding the dentist, I now look forward to my check-ups. Dr Freeman and Hendricks are great, the staff is first rate and the general atmosphere of the office ensures a positive experience.